Tea sandwiches - also called finger sandwiches - are the most delicate of all sandwiches. 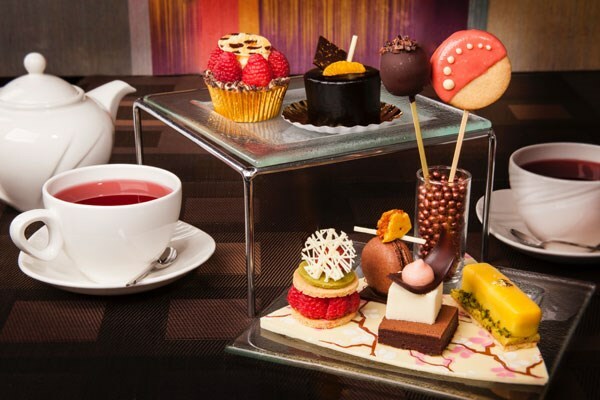 Daintily presented tasty morsels served at a traditional afternoon tea. They're not food on the run. They're not stuffed to bursting with all manner of salads and tasty filling. Instead, they're restrained and rather elegant. The epitome of a posh sandwich. That does not mean that they're tasteless or bland. Far from it. Traditional tea sandwich recipes contain such highly-flavoured ingredients as anchovies, watercress, mustard, smoked salmon and even caviare. Bland? Not on your nelly! There are a few rules you need to follow to ensure that your guests ooh and aah over your finger sandwiches: the bread needs to be cut thinly and the crusts must be off. 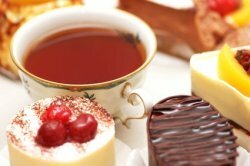 The filling must be flavoursome, so it stands up to a cup of strong tea and provides a good contrast to the sweet cakes that follow. Most sandwiches are served covered, ie. with a second slice of bread over the top. The only exception - and only if you feel like it - is when offering caviare sandwiches. And, most importantly, all tea sandwich recipes specify that the sandwiches be cut into bite-sized pieces. No larger. The highest of high treats and the only tea sandwiches that may be served open. You will need bread, caviare, sliced hard-boiled eggs, lemon juice, softened butter and cayenne pepper. If you like, you can mix a little curry powder into the butter. 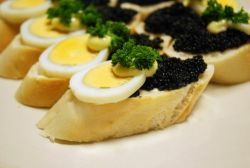 Cut thin slices of bread and spread with the butter, then top with the caviare and a slice of egg. Cut into bite-sized pieces and arrange on a plate. Just before serving sprinkle the sandwiches with a little lemon juice and cayenne pepper, or serve lemon slices on the side for guests to help themselves. 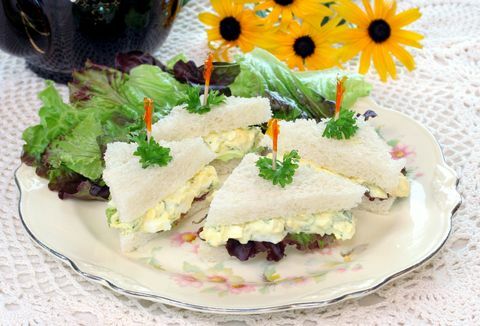 Eggs partner well with all manner of other ingredients, so there are quite a number of tea sandwich recipes that involve eggs. You can serve sliced hard-boiled eggs, or turn the eggs into delicious filling by adding mayonaise, cream, watercress, mustard or even anchovies. All will be equally tasty. Egg and Cress Sandwiches: Nothing but bread, butter, hard-boiled eggs and cress. Spread thin slices of brown bread with butter and cover half the bread with slices of hard-boiled egg. Season with salt and pepper. Chop watercress or mustard cress very finely and cover the egg slices. Top with the remaining bread and cut into bite-sized pieces. Creamed Egg Sandwiches: Also known as egg salad sandwiches. Chop your hard-boiled eggs very finely and mix with mayonaise or cream until you have thick paste. Season with salt and pepper. If you like, you can add a little prepared mustard to the mix. Spread the mixture over half your bread slices. Add a little chopped cress and top with the remaining bread before cutting your sandwiches into bite-sized pieces. Anchovy and Egg Sandwiches: Drain 10 anchovies of their oil and mix them to a smooth paste with 3 hard-boiled egg yolks, 2 tablespoons of grated parmesan cheese, a little butter and cayenne pepper. Spread this mixture over thin slices of brown bread and top with more bread slices. Utterly delicious! Cucumber Sandwiches are the ultimate delicate tea sandwich. I cannot image anyone not liking these. Make sure you use soft white bread and slice both bread and cucumbers very thinly. 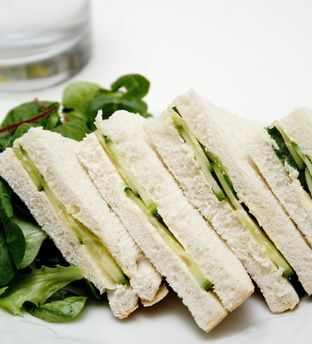 While other tea sandwiches keep very well even if made a couple of hours ahead of your tea part, I find that cucumber sandwiches can get soggy if they sit around for too long. So make them as close to serving them as you can. Apart from that, anyone can make these. Just take a lovely fresh green cucumber and slice very thinly. Butter thin slices of soft white bread. Arrange the cucumber slices on half the bread, overlapping them neatly. Season with a little salt and pepper. Cover with the seoncd half of bread slices and cut into small pieces. Some of my favourite tea sandwich recipes reach back to the beginnings of afternoon tea. They're delicious enough to eat on their own, but when served alongside a pot of tea, some scones and a few cakes, they simply scale new heights. 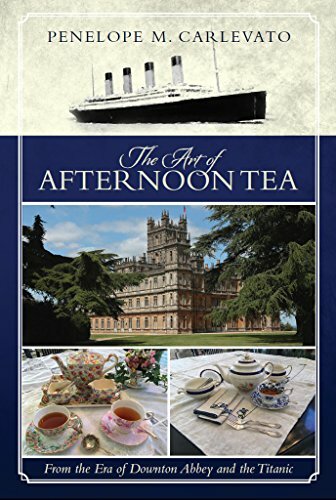 If you've never served a proper English afternoon tea, finger sandwiches and all, then you should really try it. Return from tea sandwich recipes to the picnic food page for more tasty ideas.